Puerto Rico, still reeling from Hurricane Maria, is looking to reform its public education system with school choice options like charters and vouchers as the island’s government works to rebound from the storm and a crippling financial crisis. Puerto Rico Gov. Ricardo Rosselló announced on Monday afternoon an education reform plan that would include a new system of charter schools — called Escuelas Alianzas — on the island. Puerto Rico currently does not have any charter schools, and its law allowing them has long been expired. 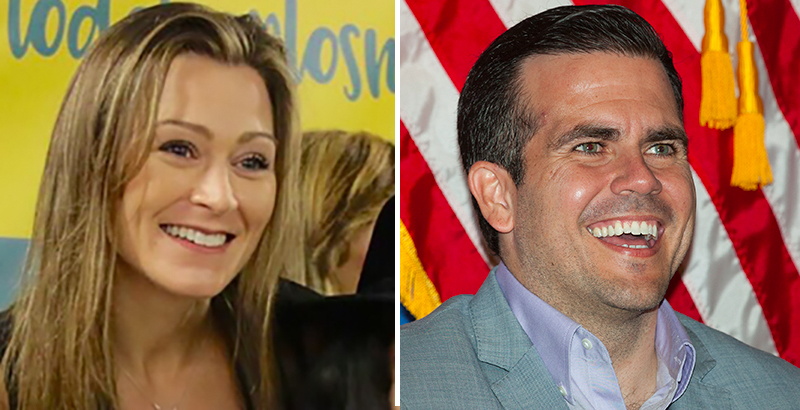 In a Spanish-language video announcement, Rosselló said Puerto Rico’s education system needs to reduce bureaucracy but that the “big change” would be providing more options for parents and students. Rosselló announced he would present the reform bill to lawmakers Tuesday. If approved, the legislation — which includes plans for a $1,500 raise for teachers, their first in over a decade — would go into effect for the 2019–20 school year. The bill also includes a plan to strengthen the island’s vocational schools. In an interview, Julia Keleher, Puerto Rico’s education secretary, said the government aims to begin with about 14 charter schools — two in each of the island’s seven education regions. When Hurricane Maria hit Puerto Rico in September, it caused an island-wide humanitarian crisis. All of the public schools closed temporarily; many never reopened. About 350,000 students attended Puerto Rico’s public schools before the storm, and 27,000 have since left to attend schools on the U.S. mainland. If the scenario of a hurricane-ravaged, poorly performing school system turning to school choice in a crisis sounds familiar, that is not entirely by accident. New Orleans overhauled its education system with one composed almost entirely of charter schools after Hurricane Katrina struck in 2005. In Puerto Rico, the comparison to New Orleans has been building for months. In Maria’s aftermath, Keleher sought input from Paul Pastorek, a former Louisiana superintendent of education who led reform efforts after Katrina. On Twitter, Keleher has even made comparisons to New Orleans as a “point of reference” to illustrate the challenges ahead for Puerto Ricans. Although Keleher frequently compares storm recovery efforts on the island to those in New Orleans, she said her education reform vision is more modest. Nonetheless, the comparisons have put unionized teachers in Puerto Rico on edge. Aida Díaz, president of the island’s 40,000-member teachers union, the Asociación de Maestros de Puerto Rico, told The 74 last year her members were working to rebuild storm-ravaged schools to ensure they wouldn’t be replaced by charters. The news comes just a few weeks after Gov. Rosselló announced a fiscal plan that aims to close 300 of the island’s roughly 1,100 schools. Although the hurricane contributed to that plan, it dates to a much older financial crisis that’s left the island with $123 billion in debt and pension obligations. “Instead of the wholesale closing of public schools proposed by this fiscal plan — or privatizing them — schools need to be transformed into centers of their communities to provide stability and support to help students overcome trauma and continue to learn,” Díaz said in a joint statement with Randi Weingarten, president of the American Federation of Teachers, after the fiscal plan was released. But Ana María García Blanco, who leads a nonprofit that promotes the growth of Montessori schools in Puerto Rico, told The Intercept in November she was concerned the storm could lead to education reforms like charters. Beyond charter schools, the new legislation touches on several other education reform areas, including human resources, school facilities, bureaucratic restructuring, and school climate. Keleher said it also opens up the possibility to offer private school vouchers, a controversial reform technique that allows students to attend private schools with assistance from public money.